NO fewer than 59 automobile manufacturers are to participate in the first Kaduna automobile fair and exhibition scheduled to hold at Murtala Square, Kaduna between 3rd – 7th October this year. Chief Executive Officer, Routes and Roads Transport Company, Geoffrey Faasema, who stated this while speaking with newsmen at Correspondent Chapel of Nigerian Union of Journalists, kaduna Council over the weekend, said only brand new cars, trucks, tricycles, power bikes, spare parts and lot more would be exhibited during the fair. According to the CEO, the event will create opportunity for all the stakeholders in the automobile industries where issues affecting the sector would be discussed with a view to addressing such in line with intention of the federal government to fissile out fairly used vehicles in the country by 2030. The fair, which was themed: “Exploring opportunities in Nigeria automobile industry”, is expected to feature manufacturers and their latest products such as Peugeot Automobile Nigeria (PAN), Kaduna, Inoson, Nnewi, Truck Manufacturers, Kano and host of others. The CEO said, “Automobile fairs and exhibitions are not common in Nigeria such as is being championed by Routes and Roads Transport Company. Rather the Nigerian public is conversant with motor shows and exhibition and there are differences between automobile and motor show indeed. “At the international stage where established countries such as France, Germany and United States are known, International automobile fair and exhibition is as old as the automobile industry. “The major aim in organising this fair and exhibition is to create wealth, increase employment opportunities, initiate consumer – financier reforms in the automobile industry in Nigeria in order to open opportunities for the Nigerian automobile consumer. 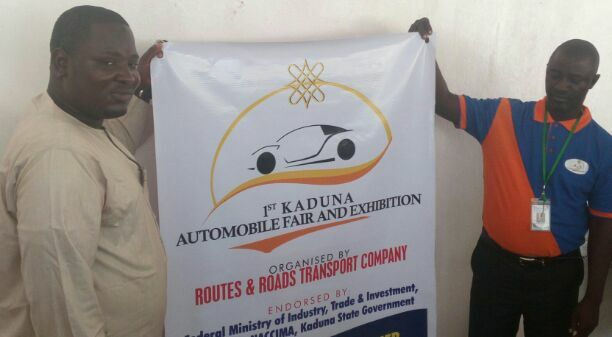 “The fair will create platform where operators in the automobile sector will interact with the public in an exhibition where varieties of automotive industry products and allied services such as trackers, lubricant, spare part, communication gadgets will be showcased as well as economy growth within the Kaduna State and the Northern hub using the automobile industry”, he added. The organisers believed that the automobile industry can mop up the present unemployed youths and reduce the waste in nation’s current human resource capital, saying automobile consume more than 60 percent of oil refined across the globe.